Light has always been the most favored metaphor for all forms of revelation. We speak of "G‑dly light," "Divine light," the "new light" of the Redemption We use expressions such as, "Do you still walk in darkness or have you seen the light?" As physical light brightens our path so we don't stumble over obstacles, so the light of G‑dliness, our spiritual awareness, helps us avoid the pitfalls on the journey of life. Light represents truth, eternal values, the spiritual which transcends the mundane and the temporal. The story is told of a wealthy man who had three sons. As he was uncertain as to which son he should entrust with the management of his business, he devised a test. He took his three sons to a room which was absolutely empty and he said to each of them, "Fill this room as best as you are able." The first son got to work immediately. He called in bulldozers, earth-moving equipment, workmen with shovels and wheelbarrows and they got mightily busy. By the end of the day the room was filled, floor to ceiling, wall to wall, with earth. The room was cleared and the second son was given his chance. He was more of an accountant type, so he had no shortage of paper: boxes, files, archives and records that had been standing and accumulating dust for years and years suddenly found a new purpose. At any rate, it didn't take long and the room was absolutely filled from floor to ceiling, wall to wall, with paper. Again the room was cleared and the third son was given his turn. He seemed very relaxed and didn't appear to be gathering or collecting anything at all with which to fill the room. He waited until nightfall and then invited his father and the family to join him at the room. Slowly, he opened the door. The room was absolutely pitch black, engulfed in darkness. He took something out of his pocket. It was a candle. He lit the candle and suddenly the room was filled with light. Some people fill their homes with earthiness — with lots of physical objects and possessions which clutter their closets but leave their homes empty. Our cars and clothes, our treasures and toys, all lose their attractiveness with time. If all we seek satisfaction from is the material, we are left with a gaping void in our lives. Others are into paper — money, stocks, bonds, and share portfolios — but there is little in the way of real relationships. Family doesn't exist or is relegated to third place at best. On paper, he might be a multi-millionaire, but is he happy? Is his life rich or poor? Is it filled with family and friends or is it a lonely life, bereft of true joy and contentment? The truly wise son understands how to fill a vacuum. The intelligent man knows that the emptiness of life needs light. Torah is light. 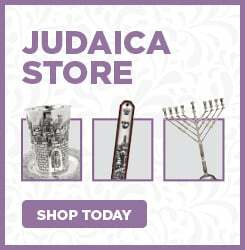 Shabbat candles illuminate and make Jewish homes radiant with light. G‑dly truths and the eternal values of our heritage fill our homes and families with the guiding light to help us to our destinations safely and securely. 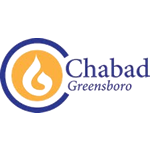 As we begin a new Jewish year, may we all be blessed to take the candle of G‑d and with it fill our lives and illuminate our homes with that which is good, kind, holy and honorable. Amen.